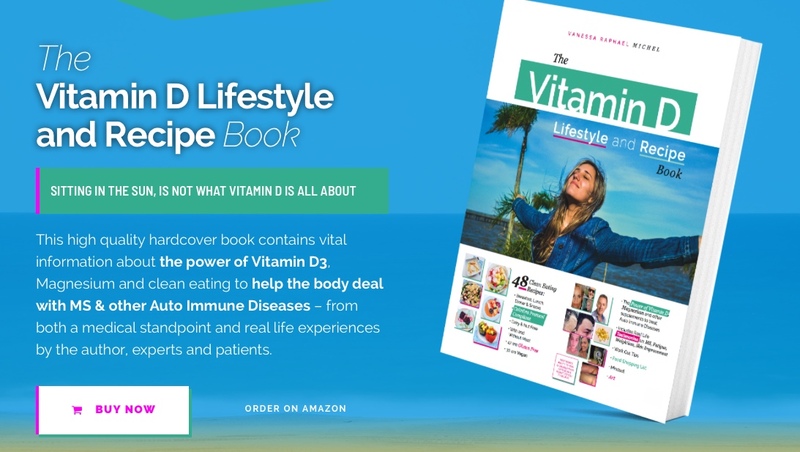 Vitamin D3 Base Oil Can Make a Huge Clinical Difference in the Treatment of MS & Auto Immune Diseases – Vitamin D Lifestyle – I haven't come this far, to only come this far! There are gaps in our knowledge on why different brands of vitamin D3 get different results. 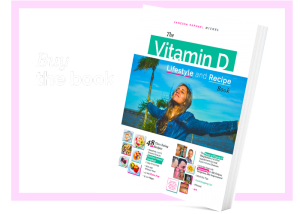 A lot of debate, has surrounded the different responses people have to various brands of vitamin D3. For the last decade I was convinced the brand of vitamin D3 was important due to the quality of vitamin D3 it contained. However based on my own research I now believe the oil the Vitamin D3 is added to is of major significance to patients. Vitamin D3 supplements are in an oil of one form or another. Manufacturers mainly use olive oil, extra virgin olive oil, sunflower oil, safflower oil, soya oil, maltodextrin, corn oil and medium chain triglycerides. 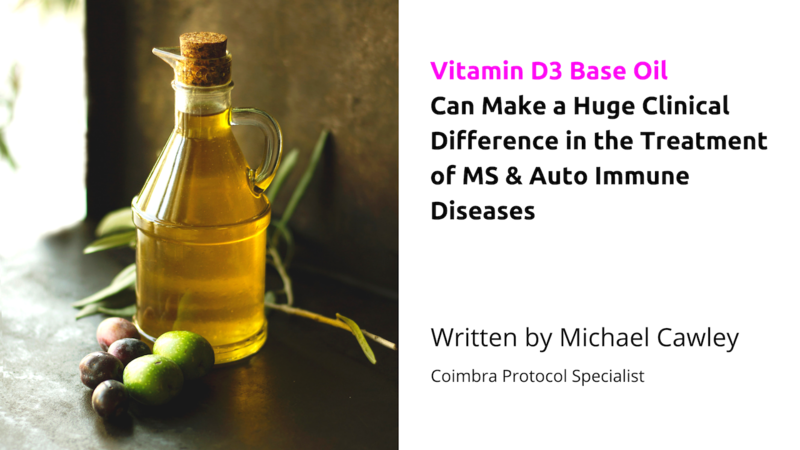 Based on my clinical observations with MS patients I am now convinced the oil which is added to the Vitamin D3 can potentially totally change the extent to which a patient improves or not. Some people are biologically pre disposed to metabolize vitamin D3 in certain oils only. My advice to MS patients now is as follows. When starting Vitamin D3 select a brand that has a reputation for halting and reversing MS in other patients. My first choice is Life Extension Vitamin D3 drops (without mint) which are added to a medium chain triglyceride (oil). If this makes you feel ill or if you are not improving on it switch to another widely used , clinically proven Vitamin D3 that is in a different oil. Healthy Origins 10,000 iu Vitamin D3 capsules are in olive oil and have helped thousands of MS patients. If both of these supplements fail to help or make you feel worse, move on to Vitamin D3 in sunflower oil (Nu nutrition 10,000 iu ). I have seen this Vitamin D3 deliver excellent results when the two most well known Vitamin D3 supplements totally failed. A MS patient in Switzerland experienced awful adverse reactions to Life Extension Vitamin D3 drops, Healthy Origins Vitamin D3 in Olive oil and New beginnings Micellized Vitamin D3, read about it here However when she took 40,000 iu of Now Vitamin D3 in extra virgin olive oil and it significantly improved her symptoms. I have a case of an MS patient in London who tried all the above Vitamin D3’s without any success. Later she used Vitamin D3 in maltodextrin 4000 iu Capsules from Solgar, (36,000iu per day) within one month her blurred vision, severe spinal cord pain and fatigue were improved. I intend to continue researching this matter with those MS patients who have the most difficult time getting results from Vitamin D3. This post is not intended to provide diagnosis, treatment or medical advice. Content provided on this post is for informational purposes only. Please consult with a trained Protocol Coimbra Specialist regarding any diagnosis or treatment options. Information on this post should not be considered as a substitute for advice from trained Coimbra Protocol Specialist. The claims made about specific products throughout this blog are not approved to diagnose, treat, cure or prevent disease.